Make sure you have installed all recommended plugins from WordPress repository (WordPress.org) and built-in plugins (especially VideoPro sample data plugin) which come in the full package before importing sample data. 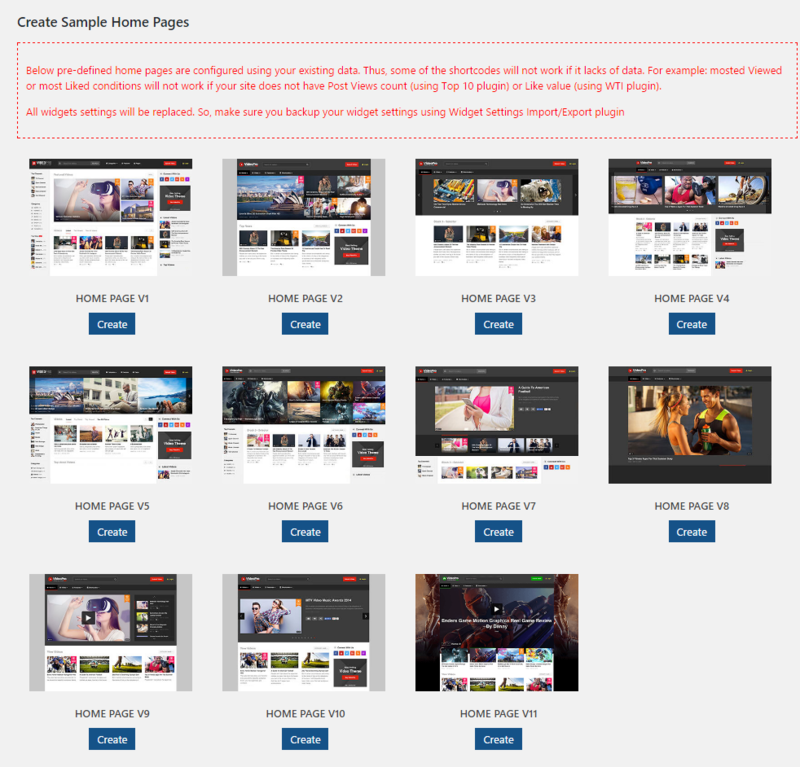 The Widget Logic plugin must be installed before performing the Create Sample Homepage function, so the Post Sliders can be assigned to the appropriate pages and your site is displayed properly. The import process may take several minutes due to large data and your server capacity. If your server setting “Max Execution Time” is too low, increase it (as your hosting provider). Please do not close the browser until it finishes. If it fails, you can run this process again until seeing the “Success Message”. If you have to run the process more than once, menu items may be duplicated. Just go to Appearance > Menus and edit/delete the duplicated Main Menu items. 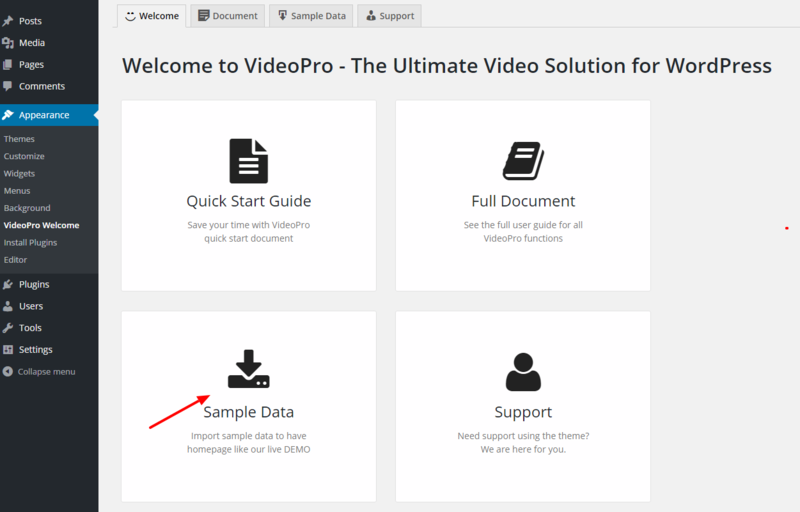 Step 1: Navigate to Appearance > VideoPro Welcome. Step 2: Click Sample Data button to import our sample data to your website. Step 4: If you want to import settings of Homepage from V1 to V11, go to the Create Sample Home Pages section choose the Home Page version you want and hit Create button.